The town of Stellenbosch has its own unique brand of charm and I believe that is down to a collective of people and places that are committed to maintaining this rare appeal. One such place is the very special Coopmanhuijs Boutique Hotel & Spa. 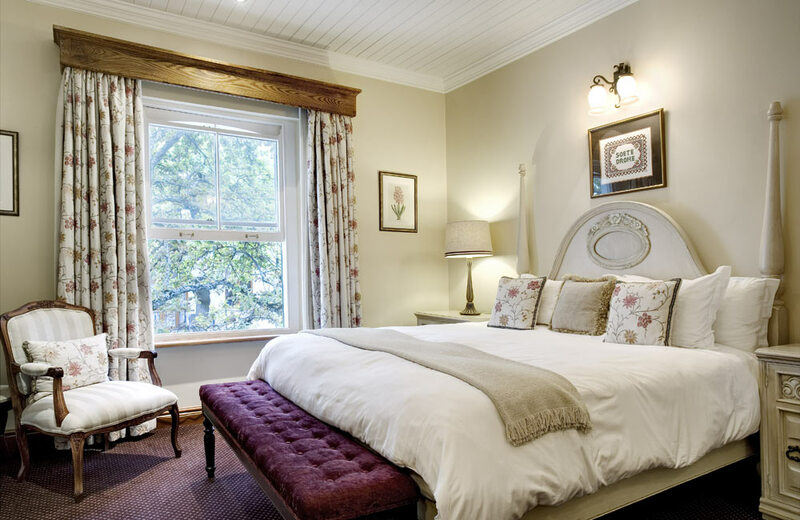 The Coopmanhuijs Boutique Hotel & Spa is located on Church Street, so named for the stunning Dutch Reformed Church, which stands gracefully against the Winelands skyline at the top of the road. 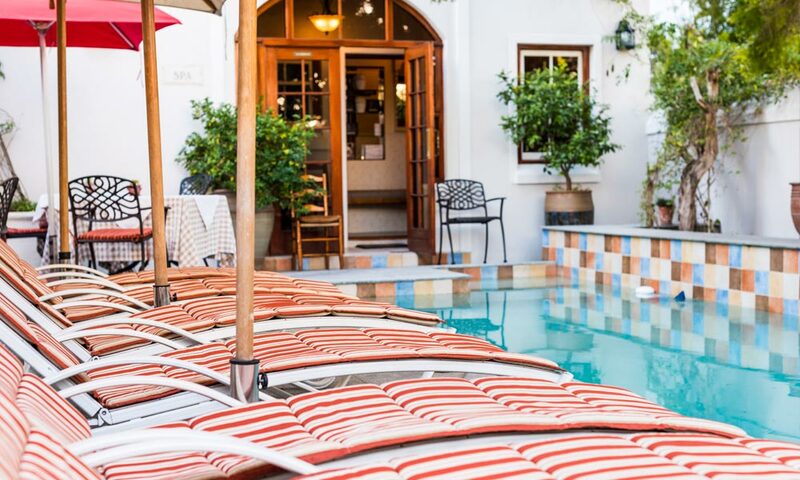 For visitors to Stellenbosch, the hotel couldn’t be better positioned – it is flanked by boutique gift stores, restaurants, galleries and curio shops giving it a lovely vibey buzz. You can explore the town by foot a couple of hundred metres in every direction as we did. Be sure to stop by Boschendal at Oude Bank, a veritable feast of farm-fresh produce, wines, breads and more and pop by artist Stephen Rautenbach’s incredible sculpture studio gallery. The decor and feel of Coopmanhuijs Boutique Hotel & Spa has very much been driven by its owners, the Pieterse family, specifically Helena Pieterse. The idea was always to create a home away from home – as Helena says, “Visitors must feel they’re at home, but not their home,” and this is what they have strived for. A framed embroidered artwork above our bed said “Soet Drome” and for me, this summed our experience up completely. Home-style comforts, with luxurious touches complemented by really down-to-earth hospitality. The hotel has been decorated largely by Helena herself, bringing in pieces from her own personal collections. As my husband skillfully put it, if you closed your eyes and were picked up and put down in Coopmanhuijs you would know you were in Stellenbosch. 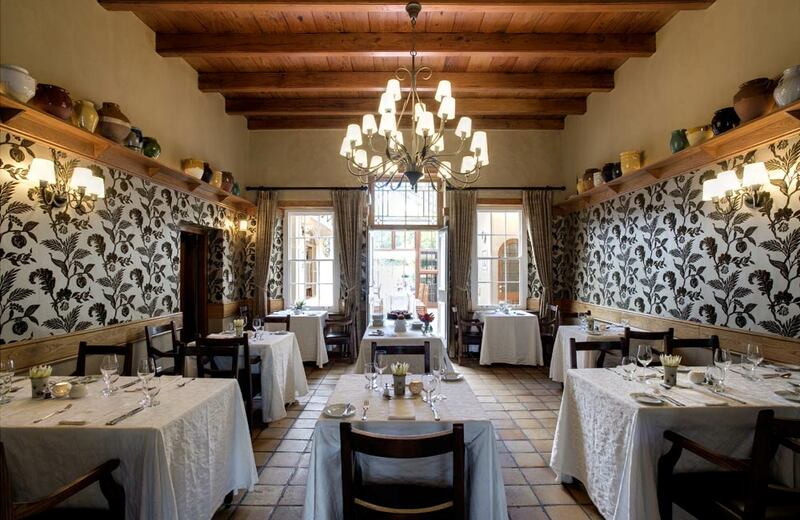 It just has that unmistakable artistic and eclectic Winelands touch. The 16-roomed luxury hotel has been designed to feel homely but with stylish touches. We loved the gorgeous Victorian bath (out of action during the drought) and the beautiful black and white checked bathroom floors (heated to toasty perfection by underfloor heating). Plush carpeting, an incredibly comfortable bed with Egyptian cotton linen and textured upholstery and furnishings finish the look. We especially loved that our slide up window overlooked a classic Eikestad oak tree in full autumnal colours and gave us a view the comings and goings of Church Street. The heart of the hotel is the open plan kitchen and Helena’s Restaurant. 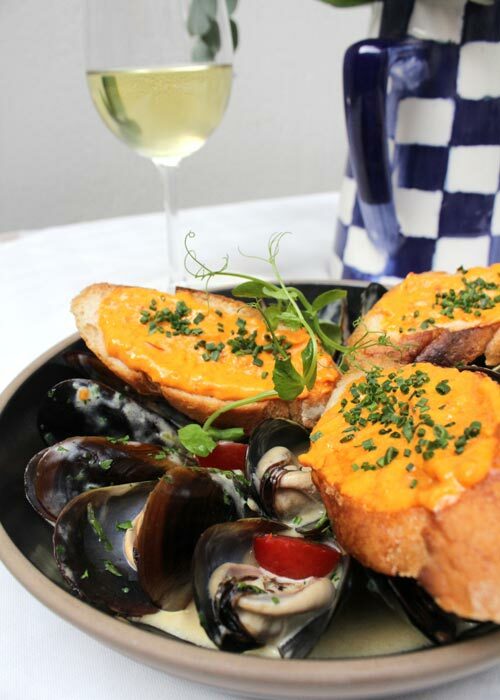 So, if after a day of exploring the Winelands, you don’t feel like venturing out, all you need to do is pop down for dinner. 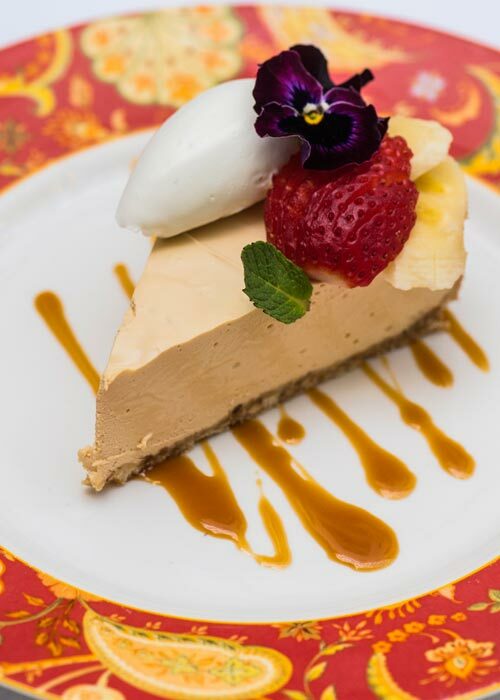 The style of the food is described as South African classics with a twist and this perfectly suits it. The menu is concise and considered and focuses on home-style food – the kind you want at the end of a long day. We started off with a risotto with fresh, local wild mushrooms, which was one of the most flavour driven risottos I’ve ever had. For mains, we couldn’t pass up the promise of Karoo Lamb Rack with Boulangere potatoes. The lamb was well cooked to medium and was finished with a stunningly tasty meaty jus. My husband enjoyed the Curried Seafood Bisque with aromatic lemongrass and coconut cream. Mopped up with toasted ciabatta, this was the perfect winter meal. After a long day of wine tasting along Upper Blaauwklippen Road, we decided to retire to our room for dessert. A cooked-to-perfection chocolate fondant was delivered to our door by our super friendly waiter Muzi and we happily tucked into this with a cup of coffee that we made in the room. 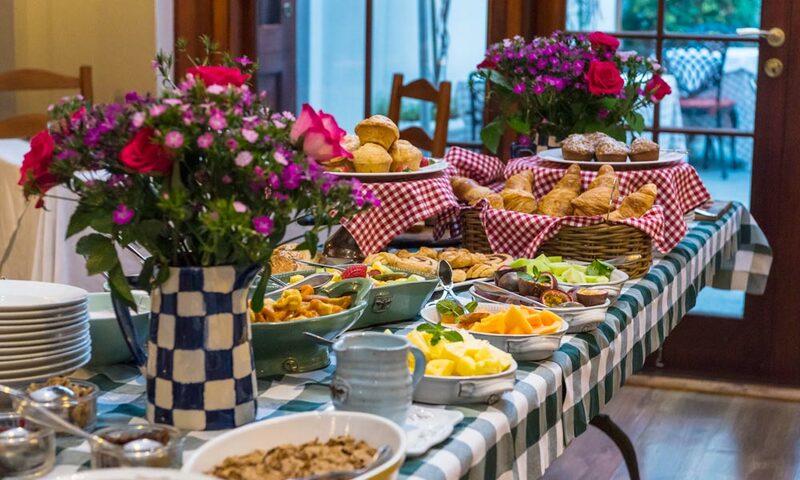 I couldn’t write about Coopmanhuijs Boutique Hotel & Spa without mentioning the breakfast spread – a table virtually buckling under the weight of amazing fruits, yoghurts, cereals and freshly baked goods and cheeses. All this before a menu of hot options too. I saw banana bread and knew that it was going to be a great morning. Everything was utterly delicious served alongside cappuccinos and fresh juices. 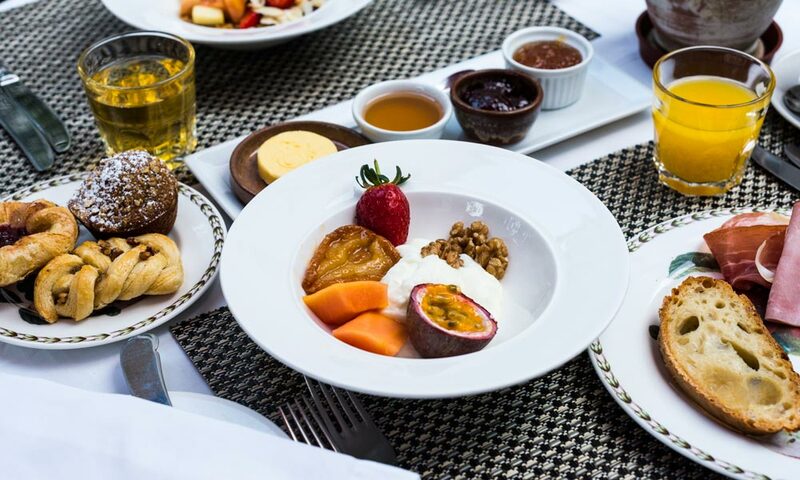 Everything about Coopmanhuijs Boutique Hotel & Spa speaks to comfort and abundance – from the friendliness of the team to the luxury of the rooms and the sense that a lot of thought has gone into the small details. The building was a family home for 17 years before being converted into the hotel and it seems the essence of this has been captured in the warmth of the space. What is now a historical landmark building has probably seen much over its years; from the days when Church Street was a dusty road trodden by horses drawing carriages to tourists now finding their way on smartphones and ordering ubers instead. 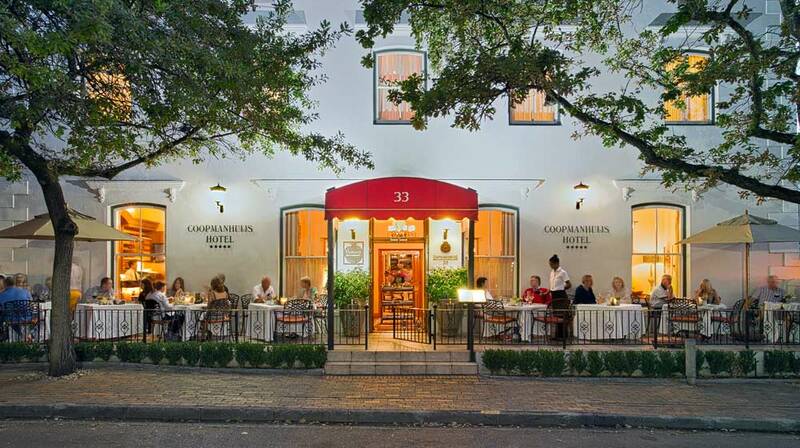 Despite the changes, Coopmanhuijs Boutique Hotel & Spa maintains an air of historical importance while also bringing in a good measure of contemporary flair. We Chat To Sarah Graham: Cookbook Author, TV Star & Supermom!